Its not quite a sequel but I suppose it is in a way a successor to Tick Tock Car Race. It certainly borrows a lot from it. 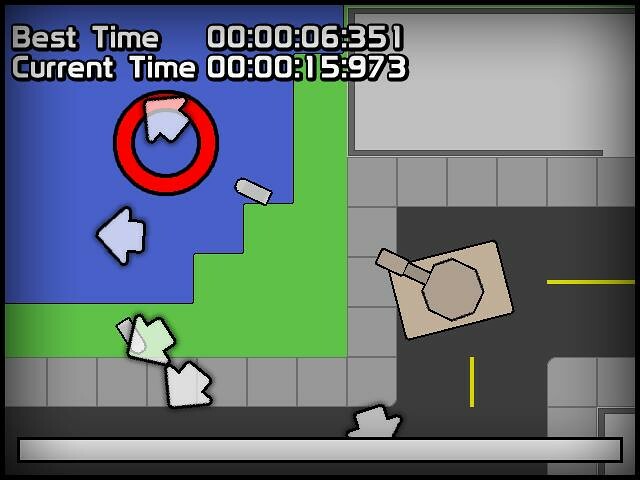 rather than racing from checkpoint to checkpoint you are instead tasked with destroying five tanks as quickly as possible. Use the nunchuck analog stick to move and the wiimote point and B button to aim and shoot. The music used in the game is Biosphere by Joshua Arámbula.